"Easy to set up and trustworthy back up tool"
"Best Ease of Use Cloud Backup Around"
Configure it and forget it! If there is a problem (rare) you can set up automated notifications that will let you know when a backup has not been completed within your specified time frame. The defaults for user backup generally catch all of the settings and data that needs to be backed up, but these can be tweaked for special situations, such as users who store critical data in unconventional places. The restore process is easy and intuitive. Software updates are easy and largely automated. This is really nice for remote users at distance sites. Some functions, such as purging obsolete archives, take a little time to figure out, partially because it may be several months between the times you need accomplish these. The product works really well. Their technical support is excellent. The price is reasonable. We have confidence that all of our users have an up-to-date backup. Code42 simplifies upgrading users to new computers. All we need to do is setup a new workstation, do a restore, and they're back in business. The users can continue to use their current machines while we are setting up a new one. "Easy and Secure Cloud Backups"
It is a simple and safe way to create backups in the cloud, in our company, we use different storage and data protection services in the cloud, but I am encouraged to give a review about Code42, since it is a very functional tool, Security is one of its strengths, we have tried different external attacks, based on DDOS, to check the vulnerability of the files protected with Code42, and it has been impossible to break their protection. The interface is a bit simpler, you can work a lot on it, actually in an application like this, it is not so primordial, but if you give more importance to this part, you can help make it more intuitive and easier to use, I do not like that the processes of backups can take a long time, we have high speed SSD disks to perform this type of tasks, but also, these processes take a long time to complete. backup copies of files and databases, in the cloud, protected with the highest security, thanks to this we can have access to these documents, after performing different maintenance tasks on our servers, quickly, without the processes of maintenance may be affected. "Con code 42 nuestros datos están seguros"
Code 42 fue uno de los lanzamientos de software más livianos que mi equipo ha tenido en un tiempo. Me encanta el hecho de que fue extremadamente fácil de implementar y extremadamente fácil de recuperar / restaurar datos cuando sea necesario ya sea que la computadora portátil esté en nuestra oficina corporativa o en el otro lado del país. El único inconveniente que he visto hasta ahora es cuando el punto final se presenta con grandes cantidades de datos en constante cambio; sin embargo, el equipo del Código 42 ha trabajado muy bien con nosotros en la configuración de ajustes para garantizar que las copias de seguridad sean consistentes. Nos permite tener una mejor visibilidad sobre qué y con qué frecuencia se estaba respaldando nuestro equipo. "Couple years later and still our #1 backup choice"
From the beginning the assistance with the implementation and rollout was great. Our professional services were with us until we were ready to transition. We took it really slow out of caution and previous experiences with other vendors, but the rollout was probably on of the best and smoothest projects to date for us. Any issues and the code42 team has been there to assist us as best they can. There were some design features that we needed to adjust for. Creating custom packages, etc. However with each upgrade the product is just evolving and becoming more seamless. Consider going full cloud. We went hybrid. Believe the improvements and features implemented now would have made us go cloud in the first place. Our main concern for implementing was for protecting our data for legal compliance. It has done that and so much more. We have been able to lock down user backups for compliance, however keep it flexible enough to the point we can address any issues and concerns. CrashPlan has been very secure and reliable for most of our users. It's automated backup system is second to none and the administrative console is great for me to help my end users. LDAP integration makes it easier for our end users to use the software on the occassions they need it without having to remember another password. The initial automated rollout didn't go so well. Some users did not have the service automatically activated for them and this has caused some data loss as a result. I would also like to see an update to their mobile apps so that those devices can actually be backed up as well. This should be your first consideration. I have not seen another product quite like this. CrashPlan has been great at ensuring our users have a backup of the information stored on their local machines. We did not have a solution for this in the past. Additionally, we no longer need to worry about utilizing synchronization services so users can access their data off of our network; just save to the desktop and away they go. This has also helped in storage costs in the server farm. Lastly, CrashPlan is handling our data retention for when employees leave. CrashPlan is a user friendly application that allows encrypted backup of local files without a performance hit to your computer. It provides IT professionals an easy way to migrate data from one machine to another. The CrashPlan ProE management interface could be more user firendly, but Code 42 is working to update the interface. Due to the nature of the real-time file backup, CrashPlan can struggle with large amounts of data (500GB+). One big selling point to our user base was that the data is encrypted before it even leaves your computer. You and/or your organization hold the encryption keys. Code42 does not know what you are storing nor can they decrypt it. We now have a uniform solution for faculty and staff members to backup data. In the past it was up to the individual to backup their data. Now we have assurance that the data is protected and archived. CrashPlan also allows us to easily migrate data from one machine to another. CrashPlan makes endpoint backup a walk in the park. It does everything it claims to do, and it does it quickly, quietly and seamlessly. The administrative console is easy to use and navigate. After the environment is up and running, maintenance and administration is minimal. Reporting could use some enhancement, though there are additional capabilities coming in the latest release which we should be upgrading to in the near future. Pull the trigger and then sleep easy knowing your users' data is safe and secure. Traditionally we used network shares to store and backup data, but an increasingly mobile workforce makes that a poor process if the end user is rarely in the office to refresh changes. CrashPlan allows us to reliably secure our end users' data at any time, no matter where they are. Now we are using the Security Tools suite to help gain insight into the mobility of our company data. We are hoping to make use of the newly announced Forensic File Search in the near future. "Cost effective and functional cloud backup solution." Ease of use, security features, unlimited storage and versioning, and cost. At $10/mo/device for unlimited storage with the ability to retrieve previous versions of any given file has been a life-saver. Large data sets can take a long time to back-up and restore; I would like to see faster transfer speeds to/from their servers. This product works very well, however be sure to take into account back-up and restore times for very large data sets. We use this in conjunction with nightly/weekly back-ups that are taken offsite every week. Code42 fills in the gaps, especially on our file server. We use Code42 to supplement our existing local back-up solution, and it has worked quite well in that regard. Versioning has saved us on multiple occasions as has the always-running back-ups in situations where our weekly or nightly solutions weren't up-to-date. software works well. I originally used their personal edition until I was "forced" to switch to the business edition. after being forced to switch to their business version and signed up for 3 years. I opened up a support ticket and they told me my Debian operating system (latest version) is not supported, they only support RedHat 7.1,7.2,7.3 and Ubuntu. Given that Ubuntu is based on Debian I see no reason why it's not supported. Anyways, point being that if you are running a business it's highly likely you are NOT running their "supported" operating systems and will be stuck in the situation where your backups don't work..., potentially losing all your data due to "unsupported. For this reason I would not recommend this software to any colleagues. When I transitioned from personal to business, code42 specifically migrated my computers, they knew the operating systems and could have at that time told me my computer was unsupported. I would have not transitioned and looked for an alternative. "Now much stronger with Forensic "
Easy to install on the server and on the clients. Excellent documentation of Server Install guidelines for all environments. Exellent self Service features for the clients. When we have questions we find more than 80% of the answers on the well updated service websites at code42.com. We use the Smartphone Apps very frequent to restore single files. Now that the Ransomware discussion is growing rapidly we feel comfortable as we can recover quickly due to the File HIstory we have on the storage that allows us to go back in history before the attack. The initial backup takes quite some time as it deduplicates and only uses a fraction of the bandwidth. I would also like to see more integration of OneDrive, Box or DropBox as destinations of backup. Pricing structure has changed several times in the last year for business users, we would like to see a ProE-Light version as pure license model. Waiting for an update of the iPhone / iPad device app. Hope to see some better functions on the smartphone side. Start tests with apr. 5-10 users. Then roll-out in waves and watch the storage size and also adopt your policy rules. FIrst test new upgrades/updates on test server and with test users. This has gotten better with the latest releases but during 4.x we were better off testing first. Backup of all notebooks/laptops of our company. Exchange of data quickly via the Smartphone Apps. Be prepared for a Ransomware attack and be able to mitigate such a loss of data. Migrate between Windows and MAC machines. "Code42, A little Pricey but Excellent Software"
The management console for CrashPlan is well designed and easy to use. Easy to see the backup status of all your client devices, in addition to a nice built in reporting tool. Deployment with a 3rd party management tool was a snap! We've been a long time customer but it is a bit on the pricey side, could make it difficult to become a customer in the edu space. We run all services on prem, their cloud services are astronomical for cost. CrashPlan has always been there when we needed it for file restores. As long as we are on top of making sure that our devices are backing up properly, we know we can get our data when we need it. "Excellent Enterprise Backup solution "
I wish the frequency of version update schedule was a little slower, but it's hard to dislike when they pack more features with each one. Roll this out to a small group of users. Perform a few restores, play with the Forensic File search. It won't take long to see the value. This solves our lack of institution wide backup and disaster recovery. It also helps with our Data Loss Prevention initiative. First we backup our endpoints, then we encrypt them. Having a disaster recovery measure is crucial for our environment. "Reliable enterprise backup with lots of possibilities"
- I like the fact that you have lots of choice regarding backup destinations, both multiple on-site and Code42 cloud-destinations. - Online documentation is good. - Customer support is good and answers quickly. - Our, admittedly small, setup has been pretty much set-and-forget. Only administrative work has been upgrading the Code42 software on our servers and that's been uneventful. - The Windows desktop tray icon and associated pop-up has longstanding issues with making the pop-up window too small so that the settings icon cannot be clicked. Minor issue, of course. We're not on the absolute latest version, so this might be fixed when we get around to upgrading. - We also have an issue where one client's backup-set is re-scanned any time the computer is rebooted. I believe this started after a major-version update of the Code42 environment. Since the backup-set is pretty large (~150 GB) this computer needs hours of work to perform this scan after every reboot. Just keeping clients and some servers automatically backed-up in our small business. Security and reliability is important, so being able to keep encrypted backups at multiple destinations is great. It runs silently in the background and constantly does differential backups, without noticeably degrading performance. The storage for our Enterprise Cloud license is unlimited, so we can back up as much as we want, and never worry about having to choose what to delete. Recovery is dirt simple via the point-and-click GUI. Customizing the installers can be a bit cumbersome, but that has improved over the last year or so. On Linux (Mint Cinnamon 18.3), sometimes, the background process causes gnome-keyring to hang during shutdown/reboot, requiring a somewhat sluggish force-quit. Both of these concerns are pretty minor, though. Their Enterprise customer service is quite good. If you don't understand something, talk to them, and they'll help you figure it out. The biggest benefit we've realized is not having to worry about users storing things on their computers, instead of in the cloud (like they're supposed to). This lets us be confident that, no matter what happens with personnel changes or hardware issues, no data will be lost. CrashPlan gives me peace of mind whenever drive failures inevitably happen. Not only does CrashPlan scale extremely well, but it allows for intricate customization when necessary. As an administrator for CrashPlan, their support is top notch and they make sure the problem is always resolved. There could be some quality improvements, e.g. having the storepoints reflect actual data usage as opposed to a snapshot of current usage. Removing deactivated device entries from the database as well since it seems to affect reporting. If you are looking for a lightweight client that scales in a large corporate environment, CrashPlan provides that solution. We use CrashPlan mostly as a disaster recovery application. It has helped many users who have experienced drive failures get up and running within hours. We've had a couple instances of ransomware attacks that were easily mitigated as a result of having CrashPlan as well. It also has a very capable legal hold application that we sometimes use to verify IP protection. "Reasonably priced, easy to use, helpful support"
Easy to deploy the Enterprise version to my desktop clients-- Crashplan encrypts and backs up data to Crashplan's cloud for a large number of remote clients, and provides me a central console to monitor status. At least under current pricing, Crashplan does not charge by the GB of storage, so I don't have to be monitoring or policing what data my clients might happen to store. Client reporting includes automated email notifications which are great, but communication to clients often appears to indicate that backups are never completed. This seems to unnecessarily alarm users that their data is not safe. The quality of this communication could be improved. Recent update from one version to another for Crashplan cloud customers is an automated process, and was very painful in the cases that the update failed. Had to spend too much time fixing those clients. Backing up dispersed client base with many GB of remote data, as well as data on file servers pretty much on autopilot, with occasional monitoring. I love being able to download simple file restores, push a restore to a client machine, or do complete restores to a client when a hard drive or system fails. The product is extremely easy to use and administer. We've been using it for over 3 years to insure that all of our users are backed up regularly and completely. The management interface gives you a great overview of where problematic backups are, and a great view of your current usage. The fact that individual users can restore their own files, from wherever they are saves us a lot of administrative time. They have a lot of products with a lot of different versions on a number of platforms. Sometimes its difficult to find the right documentation on their website. However, they have a chat feature on the web that you can use to get the right support. Their support is very good. I also wish their cloud backup was more affordable. We provide our own backup storage, using the crashplan proe server software, and basically the same client software. The end-users don't know the difference.. Individual backup. We use this primarily for backups of staff laptops and desktops. Our staff travels constantly around the world, so we need a reliable method of insuring backups are performed wherever they are. We (and the staff member) receive regular notifications when backups haven't been completed keeping us up to date on who is in danger of not having a current backup. "Extremely reliable and robust backup environment for our mixed OS organization"
A very reliable solution backed with great support - both from implementation assistance and post-installation support.I had used the consumer client version of this product and when we decided to implement the enterprise version - we saw realized the same performance and peace of mind for our organization. We find the archive/delete user/license process doesn't match our internal workflow. When a staff members leaves our organization we need to delete them completely from the code42 environment to free up a user license. There should be a method to deactivate a user, and leave their content in an archive. In some instances, these users may rejoin our organization and we would then like to reactivate them at a later date. "Great product with options that fit your infrastructure!" I've used Code42's Crashplan for about 4 years now and it has simplified our backup administration for our IT staff. We are running a hybrid deployment (no more tape robots)! It has also improved our user's experience with integration with our company's Active Directory and delegation of control to remote administrators who can help recover data for their users. It's simple to use and settings are maintained and controlled centrally via the web. The cost is a bit prohibitive if you have a very large organization (we have over 10,000 employees) and want to fully utilize all the features such as storing data in the cloud. Our sister company has used Crashplan but tried to implement it with storing the data locally. They have just begun to utilize our hybrid implementation to store their data in the cloud. Business continuity and compliance reasons are a few of the problems we are solving with this solution. Our organization still gets hit with ransomware a few times a year and utilizing Crashplan can help save our company's data. "Set it and Forget it... until you need it." I like how unobtrusive, yet reliable CrashPlan is. Also, with incremental backups, it can be very handy not just for fixing issues of data loss but also user screw-ups. Also, built in on-site and off-site backups make this a one-stop shopping for our backup needs. We did have to enable scheduling of backups on our server because even at CPU usage lowered to 20%, the bandwidth involved sometimes affected our servers performance. It would be nice to be able to further tweak this kind of stuff like limiting the amount of bandwidth CrashPlan is allowed to use. The license renewal process is a bit clumsy in the PROe version. The administration console prompts you to renew but when you follow that path you do not actually renew everything (cloud storage) and it also does not always apply correctly. While support helped us right away, even that solution was a bit clumsy as we lost a few days in our license. They said we will straighten it out next renewal but of course now I have to remember that for a full year to ensure it happens. This is by far the best backup solution I have come across. Backing up data in multiple locations and a bit of versioning in a sense with incremental backups, mainly with documents and graphical files. 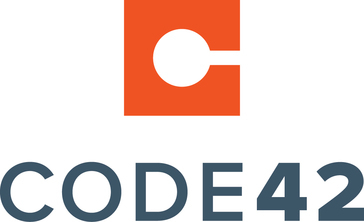 "Code42 is a life saver"
The things I like best about Code42 are the low price, high speed backups, secure encryption, unlimited retention, easy to use, set it and forget it. The file version is exceptional. You can store and access different version of your files. The continuous backup works really well. If you have a lot of files you may have to call tech support to change the memory allocation or the app could crash. Call me and I'll hook you up, I'm a Code42 reseller as well as a user. One client was hit with a ransomware attack, we were able to restore 87GB of data from Code42 in 18 hours. Awesome ! The most important thing is making sure you have a good backup, this is easy with Code42. "They really earn their titles!" The support is amazing! The title customer champion is well deserved with them. I know that if I have a problem that Code 42 and the amazing people that run it are there to help in every possible way. I have to deal with a lot of support from many different companies and Code 42 has always been a call that I don't cringe at having to make as they make the difference from just support and what a customer support champion is. Nothing. Everything I have ever done with Code 42 has been a breeze! The server software can be a little odd to get the hang of at first but once you do it all kind of just clicks! Well crypto viruses for one, HIPAA compliance backup and always having piece of mind knowing everything is safe and secure! "More expensive now but good"
The backup works well, the native app seems better than it used to be (back when I had it for home users). I was using Crash Plan as a home user and liked it a lot, was very disappointed when they decided to drop the home business. This doubled their prices for the same number of devices. At least they had a promotion to stay on as a small business customer for 75% off for 1 year, which I am doing. If they don't change their prices by then I will switch to a different service, because I really don't need the additional features offered to small businesses. I would evaluate your needs carefully to make sure Crash Plan is right for you. It's piece of mind more than anything. I don't think I've ever had to recover a file with Crash Plan. Maybe once or twice in a couple years. But I feel a lot better knowing that if my computer was stolen or the hard drive randomly crashed, I'd be able to recover. "Always a pleasure dealing with Code42"
In my line, I deal with a LOT of vendors, both hardware and software. CODE42 is hands down one of my favorite companies to deal with, no matter what the issue. If it's a technical one, the support is fast to reply, knowledgeable, provide frequent updates, and always makes time for me while never making me feel rushed. On the billing/licensing side, not only to I get regular notifications on when my licenses are due to expire, but I can easily reach out for assistance and there have been times when obtaining some temporary keys have gone through quick and painlessly. Currently I have no issue with the product or the service, so there is nothing I can think of here. If you are looking for a tool that protects the data of your customers or yourself, with simple implementation and excellent service, you will want to take a hard look at Code42. We use the software for backing up data. It has come in quite handy not just restoring the customer's data to their laptop, but restoring a document to my own laptop and forwarding to a customer who is otherwise unable to access their laptop. "Good value, but do not use it as your first-line backup solution"
Pricing is really good. Application is pretty friendly and fully-featured. Also pretty nice that you can backup to other destinations that have the app installed for free, in addition to being able to backup to CrashPlan (paid). The ability to keep unlimited file versioning is very nice, and has come in handy with both personal use as well as with customers. The app is not the most stable thing in the world. It is deployed on several servers and we have issues with at least one a week, usually either restarting the service or rebooting the server fixes things. Also this is file-level backups, not image-level, so you still need a plan for where you would be putting this data if your server dies. Also in my experience restore speeds are very slow compared to WAN speed. Also there does not seem to be a way to back up network drives using the app, only local drives. This is an issue with servers that use a NFS drive for storage. We have deployed this for server backups which has been good except for the lack of app stability. We have also deployed this for end-user computers, and this has been very solid and trouble-free. It has saved the customer's data several times. "CrashPlan = Peace of mind"
The application is a breeze to setup. I had an old Windows 2003 server that had problems with syncing large amounts of data, but Customer Service identified the issue and I found a work-around. That server has since been retired. Recovering a file wasn't as straight forward as I expected, but once you did it one time, you'll never have a problem with it again. With all of the cryptoware and other security attacks happening, it's critical to have your data backed up in multiple ways, both on and off-site. Code42 makes off-site backup a breeze. I'm a lot less paranoid about our tape backups now. Knowing that I can restore a file at anytime from anywhere, without having to swap tapes or wait for a backup to finish is priceless. The server end implementation of Crashplan Enterprise was fairly straight forward. The most impressive part of it is the ease of use for the end users. Backups are done without the end user noticing. It's so unobtrusive to the system and the user that most often times, customers are unaware that they have a backup solution in place. Our Crashplan server was implemented almost 5 years ago. It requires very little attention. Admittedly, this meant that it wasn't in our "radar" as far as servers to keep a close eye on. Due to the default retention policy of accounts disabled, it continued to work until it ran out of disk space. Purchase Crashplan as soon as possible. Crashplan takes care of our end user data that are not stored in a file share. Endpoint backups are as important as everything else in the Data Center. "Code 42 is the failsafe backup for end users laptop data"
Employees losing or purposely deleting information off their laptop in the event of leaving and trying to cover up information they might have emailed out. It has also helped with older PSTs if they were stored on their PC. "Backs up computer files in the background without having to lift a finger"
It runs automatically in the background. I set it up once and now I just get (either weekly or monthly) updates about my backups. It is super easy to use and has a simple interface. If my computer crashes or breaks, I can get my files on a new machine. It gives me a worry-free feeling. It doesn't seem to handle a lot of data super well. It could use performance improvements. Backing up my files on my work computer. This was something I was required to do as an employee of oracles as a backup plan. "Crash Plan has served me well since 2011"
I can set it and forget it. I install the app on my Mac and pay for the service there. But I have 2 other computers using the free "Friend" backup. I have those backing up to an external HD stored on my Mac with the paid plan. It has never failed me. There were some issues with the Linux version of the app. Sometimes it won't backup to a "friend" unless I have the app open on the Mac and the Linux machine. Do it. I have had zero issues. I have survived several more hardware failures since becoming a Crash Plan customer 6 years ago. Several years ago I lost everything stored on my computer. Years of design files. Years of sermons I had written. Years of family photos. I was really cleaned out by hard drive failure. But now, I will never lose my work again! "Avoid Code 42 Cloud Backup"
Code 42 has some wonderful software. Feature-rich and easy to use. Code 42's customer service picks and chooses which customers it supports after the fact. Hundreds of residential customers were forced to switch accounts to commercial accounts (at double the cost for the same features) and no assistance was provided to those choosing not to upgrade. Customers who were billed right before the announcement did not have an option to terminate their contract early, but had to guess the migration time to a new provider and time their sign-up accordingly. Larger data sets or slower connections had no choice but to pay for two cloud services if their backup would exceed one month to transfer as mine did. Code 42 has an F rating with the Better Business Bureau and should be avoided for mission critical cloud backup scenarios. Consider the alternatives. Look for companies with better consumer and B2B ratings. I was using Code42's residential service for cloud backup of my personal photos archive. (~4TB). "A set up-once-and-forget backup solution"
A perfect example of a set up-once-and-forget solution. Once backup criteria are centrally set up, all the end-users have to do is to log in with their account and that's it. It would be nice if CrashPlan would offer faster restore and backup speed. Even with a 300/100Mbit connection, sometimes only 25Mbit are utilized no matter from which geographical data centre location data is backuped/restored to/from. Extensively test the backup criteria (directories to be backed up as well as file/folder exclusions). Migrations for end-users have become a lot easier and faster compared to our previous approaches. Furthermore end-users no longer rely on IT to quickly restore previous versions of a file but have the ability to do this on their own, which reduces the overall workload for our IT department and the time required for users to get access to their restored files. "A cloud based backup that really works, Central dashboard for quick checks, and admin reports." Set and forget it. Ability to set what the end user can change. Great dashboard functions. Easy user setup. Provided templates for emailing to end users. When I did have a question there was always live chat available to get the question answered. Have to setup child organizations to group users with similar file restrictions. Since we are a Classic coustomer security center is an additional cost per user. Try the demo. Use the local version for home backup. Many remote users that had no way for a central hosted backup. Hit and miss on who backed up when. With CrashPlan I can check which users are backing up and how often, the status of each backup etc. from one dashboard application. The price is good, and it works. There is a lot of flexibility in what you back-up so you can tailor it. Once we got it set up we haven't had to give it much thought at all- it works and requires no intervention. I get quick summary e-mails so I know what has been backed up and if there is an error. The interface is difficult for a casual user. We have VERY slow internet access (yay for rural living? ), so we need to be picky about what gets backed up and how often. It took a while to figure out, and required more than one chat with customer service. We needed off-site storage for back-ups and a way to for the backups to happen automatically without slowing down any computers. "An essential part of a backup regime"
Backups are a must for almost everyone. However, running full backups can quickly consume large amounts of space and time-consuming. Crashplan is an excellent "set it, forget it" companion backup application for both Apple/Windows to protect your data and media files. It runs in the background (its actual resource usage can be fine tuned) and backups incremental changes to multiple destinations including the cloud (paid component), an external drive or even another computer. It uses delta versioning which means if part of a very large file is changed; only that portion is backed up versus backing up the entire file each time. It also periodically verifies the integrity of the backup to ensure they are properly backed up. In the event of an OS (system) failure, the OS and apps must be first reinstalled to restore files. Therefore, Crashplan is not substitute for full bootable/image/clone backups. However, the frequency of full image backups can be reduced by using Crashplan to create "snapshots" of files that change frequently. Crashplan adds another layer of protection by allowing backups to be stored in different physical locations whether it be through the iCloud or another computer over the internet. This helps protect files from acts of God such as fire that can wipe out both the original and backup disks if they are stored in the same room/building. "The feeling to be safe"
When it comes to data protection it is vital to be able to fully trust your backup solution. As a Pro-Photographer my images are my most valuable assets. Having several different hard drives, a SMART-RAID, on- and off-site servers and a cloud based storage space "all under one roof" makes life much more relaxed. All new data or modified data are automatically backed up to various locations. This gives the maximum security possible. Good to know, that in the worst case (some data getting lost locally), there are back within minutes. The only little dislike for European customers is the fact that the initial backup is not possible by sending a hard drive to crash plan . This works like a charm in the US and I hope for some offer like this also in Europe. Read other reviews on the web and try out one of there plans. Backup locally on an external hard drive e.g. is even free. All business data are kept safe and backed at all times. The Software runs "invisible" in the background. This is how it should be. Set it and forget it. This is my backup solution for our Central Office. I have all computers set up to do both cloud and local backups. The local backups allow me to quickly restore a user's data while the cloud backups give me peace of mind that I have a copy of this critical data off-site. I would prefer the price to be a little lower, though it is in line with, and lower than some, other backup solutions. Add in the fact that you can do a hybrid local/cloud backup solution and it makes sense to spend the money on this enterprise backup solution. Backups. Backups. Backups. I wanted a local and off-site backup solution and Code42 delivers! "CarshPlan - I've used it for a complete restore twice!" Two separate times I've had hard drive crashes that normally would have had me scrambling to find backup drives and hoping that the backups were recent. But with CrashPlan I simply got my new drive up-and-running, reinstalled CrashPlan, and then did a complete restore to retrieve all of my data. No lost files! I've also used it to retrieve previous versions of files after I've made changes I wanted to revert. I've also switched laptops a couple of times since using CrashPlan, and it's easy to adopt the new machine and continue backup seamlessly. Considering the benefit and peace of mind I have for all my data (and the fact that I've used it! ), it's well worth the very minor investment. Complete backup and restore, partial restore, restore of previous versions of files. "Best $60 I spend every year"
It's fast, easy and just works. Very little hiccups. The support team is one of the best I've ever dealt with. They are super nice and professional. They don't have 24 hour support but have an answered service that will take your info and they reach out to you right away in the morning. I also love that if I do have to uninstall and reinstall it doesn't ruin the backup. It simply reconciles the files you have on your machine. There is very little I would change. Also, the fact that you can create your own cloud with their software and not have to use their pay service at all says a lot to me. They are literally giving you the software to do it yourself - or you can just pay them to do it better. Not much really. I guess if I had to pick something is that from time to time I have to uninstall and reinstall it because upgrades can go a little wonky with Windows updates. This is really more a function of Windows than CrashPlan but it is something you have to deal with. They offer a free trial but you'll probably sign up before the trial ends. They offered me an extended trial because I was leaving Carbonite for them. "Crashplan, the best endpoint backup!" What I like about Crashplan? Everything! This software is consistent, easy to use, easy to install for tech admins. If you are the end user you can choose to subscribe to code42 endpoint backup cloud. If you are an organization you can can to have a private or hybrid or public cloud installation, and autonomously manage your clients. This is an endpoint backup that supports all kind of operative systems and different backup destination (such cloud, network shares, usb drives). It's always up to date with new interesting features to try and sell! The tech costumer support is really fast and always reliable! I can't say so much about what I dislike about this product. - Since version 5.0 they'll end to support Windows XP installatio, but I really understand that. - For some point of view the cost of the licences can be expensive, but for all the features they give you it's worth it! Try a free 30 day trial and you'll love it! We solve a lot of problems and time changing the software for endpoint backup. Never spend a lot of time to manage, check, troubloshoot the endpoint backups problems! A lot of satisfied client! Because with a little monthly fee, they are sure to have a second-third copy of they data outside their office. "Great Plan for a Backup"
I love having CrashPlan back up my computer to their cloud. From downloading, installation, and retrieving your data, CrashPlan makes is simple to use and manage. I have all of my business files back up to through the software and I feel at ease knowing that if something were to ever happen to my computer/hard drive, I can always get it all back. This is extremely crucial to me and my company. I like so much about CrashPlan but if I had to choose something to dislike, it would be that sometimes, the app crashes and I have to open it from time to time. I still think the software is great and this is just a pet peeve of mine. This annoyance could easily be fixed on their end but isn't a major issue to me. I highly recommend CrashPlan for all businesses and individuals who have data on their computers or hard drives that you wouldn't want to lose. This software is automatically backing up your computer and/or external hard drives to their cloud. If something ever happens, your data is safe because you can have CrashPlan send you an external hard drive with all of your "lost" data. I have realized how important having backups of your files is. If something were to happen to either my computer or hard drive, I could have the data back with the click of a button. Having this software is a necessity. "Works very well and easy to use"
I set this up about a year ago and it has been a very reliable backup solution. I haven't had any issues or failures with the software. Software updates sometimes fail to install and I have been able to resolve the issue by manually downloading the update from their website and installing it. I would recommend setting up a local backup to an external hard drive even if you set up remote backup. This will make restores a little faster in case it is required. The software allows us to keep our data safe and secure in any location. We have set it up to backup to a remote location and it has made this process hassle free. "CrashPlan - automatic, painless, mindless backup"
Once the backup is setup, it actually runs in the background and I don't even know it's there. This is the best and easiest software to manage as a server admin. Over 30 years of desktop support on Windows and Macs and it has made my life of backing up user's data 10x easier than other products that I've managed. People have had their laptops stolen and without CrashPlan their files will be very difficult to restore. Previous backup software it had to constantly check to see if the backups were current and/or running. There is not a single time that I felt hesitant to call CrashPlan Enterprise (Pro) support to get assistance. Each and every individual I talked to and worked with were efficient and very knowledgeable. I've rarely had to wait more than 2 minutes to get to the person who actually is the person who can help me resolve the issue. All customer support services for technology companies should copy their model, it is the best I've found so far and what we are proud to say we're very close to ourselves. Anytime something unusual happens that I can't resolve using their awesome KB articles, I will pick up the phone and I am confident this issue will get resolved as soon as possible. To me that's what make this solution the reference in the market. I know I will be able to get the help I need to ensure my backups are running and working, that's what makes me sleep better at night. Benefits are piece of mind, centralization of resources which ends up in a profitable service we offer to our small and medium Business customers. "Best endpoint backup and recovery tool EVER!" The server and client are easy to configure. Working with the support staff is great as they really do know their product, and help you get all the basics and advanced things done. We have even branded our own client install with our logos. No longer supporting average consumers, but I hope they come up with a consumer model that works for them soon. Get the pro support as they are very helpful and can assist you with things that aren't documented. We initially considered Code42 as an offsite solution to our backup server, but ended up deploying it throughout our college as many of our faculty members travel with their laptops. We have successfully recovered data using code 42 several times and have used it as part of our hardware refresh cycle in the last year. It made moving to new laptops/desktops much easier for our users and saved many dozens of man hours and we expect it to save hundreds more in the future. On a personal note, my laptop's SSD died and I was able to get back ALL my data using Code42 in about 2 hours. TOTALLY saved my bacon, and let me get my laptop back up to a functional level in about a day. Before code42, it would have taken me several weeks to not only get my laptop back together, but also make sure everything was transferred and available to me for all the things I do. I would highly recommend it for anyone with a laptop. "Great backup solution at a great price, no frills installation and file restoration." Automatic differential backups for all of our off-site requirements, unlimited backup volume at a set price, no surprise charges or interruption in backups. File restoration is painless and reasonable fast, very easy to see all file versions and restore any backed up version. Backup service sometimes runs behind schedule, even when volume of data backed up is not very large. Our upstream bandwidth is very high, but code42 always seems to be uploading the last few Gigabytes. We have our backups scheduled to run every 15 minutes, but it never seems to finish. We only backup around fifty gigabytes currently, but there are lots of changes being captures, which is awesome, but sometimes it feels like some change sets will be missed because the file will change before being uploaded. We use Code42 for all of our off-site data backup needs. The best part about CrashPlan is that it is an easily deployable, secure and utterly reliable backup product. When it comes to missions critical backup, there must be 100% compliance. Having CrashPlan deployed allows our users the confidence to know that they do not have to do anything to ensure proper backup while allowing them the flexibility to recover files as autonomously as our IT policies allow. No comment here. In my opinion, there are no better alternatives from which to compare. I suppose web/console based client upgrades would be a nice feature. Many organizations worry about the cost of backup. However, I encourage you to contemplate the cost of data loss as well as the cost of training and compliance policies/measures required of other solutions. In the end, it's far more reliable to simply "Set it and forget it" like we can do with CrashPlan. Prior to employing CrashPlan ProE our users were responsible for managing the data and data security on their computers. This was not reliable or even enforceable. Now, all of our mission critical users are 100% compliant with our backup policies. And, though we've never had to use it, we know that we can track sensitive data on users machines. "Best (secure) cloud-based backup solution"
Setup and out-of-the-box experience is top-notch. Everything (Master Server interface & Clients) looks polished and well thought out. Unlimited storage is an excellent perk to IT and a major selling point for our clients. The interface is clean, and easy to understand-- a five-minute run through is enough for most end-users. The online chat support feature is great-- and is a great way to get knowledgeable help right away. The online KB, while comprehensive is not the best for searching for new articles. I find myself using a search engine with terms like "Crashplan server 5.1.2 to 5.3 upgrade" to find the document I need. I love the set-it-and-forget setup. We never have to worry about it-- most customers forget they even have a backup in place-- until they need it! On the flip side-- we've run into issues where someone forgets to reinstall it after a rebuild or system upgrade (because it's so covert). AFAIK, Code42 owns, maintains, and manages their own server farms. So-- they are naturally the best at helping setup a local storage server (if that's what you need). Our Customer success manager is really busy and rarely replies to emails in a timely manner-- I get it, things are crazy busy-- but don't suggest I contact them before contacting the online chat support features; it simply isn't a viable or useful option. For the PROe version, the co-branding works well, but it's only viewable during initial setup/login and then you don't see it anymore. Not a deal-breaker, but no real value-added there. Sometimes error messages on the client and/or Master Server are vague-- however there are the system logs that allow for very detailed info regarding everything. In other words, it's too little info, or information overload. Try the service for yourself and attend the Bootcamp training (attend both parts-- general and advanced), but bring your specific use-case (environment) questions as the instructors of the courses are great resources and very knowledgeable. We had an antiquated backup solution in place that was costing us a fortune. The simplified billing (cost per seat) and ROI were easy to calculate and realize. As data storage needs grow the unlimited backup was a necessity in our research-intensive environment. The online management console allows us to view trends and address customer issues remotely. 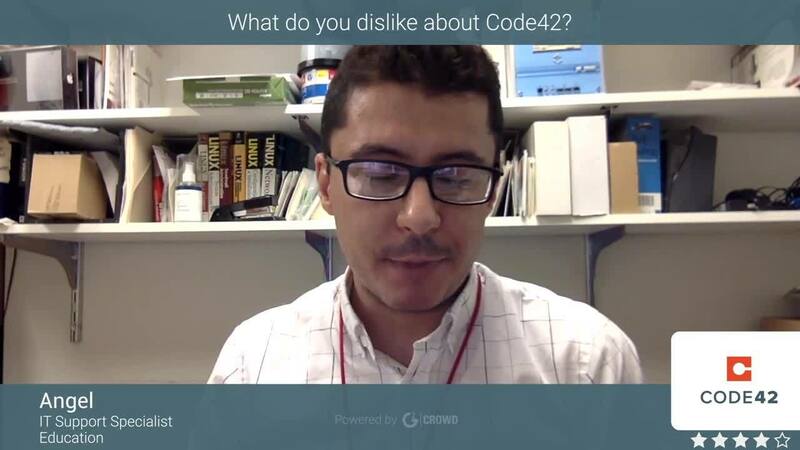 * We monitor all Code42 reviews to prevent fraudulent reviews and keep review quality high. We do not post reviews by company employees or direct competitors. Validated reviews require the user to submit a screenshot of the product containing their user ID, in order to verify a user is an actual user of the product. Hi there! 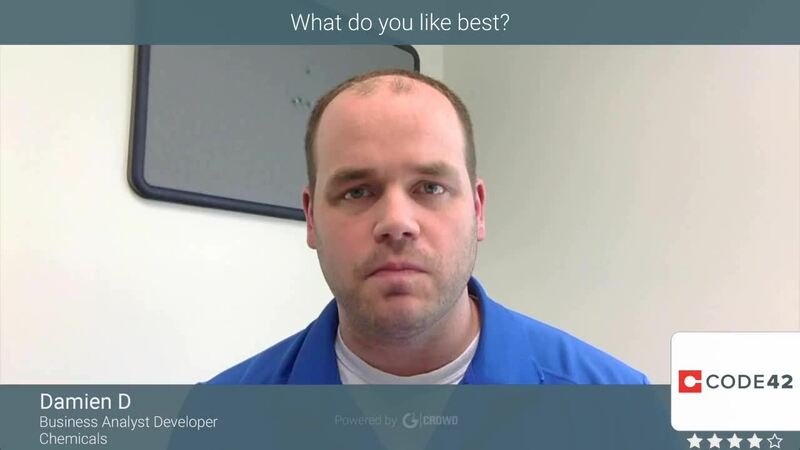 Are you looking to implement a solution like Code42?